Tell your furkid how happy you are to have his/her company! Come celebrate Thanksgiving Day with us on 18Nov! Let us tell you how grateful we are to have you and furry friends with us! 2-5pm | Mini games, funny costumes, free treats & unlimited furry fun! 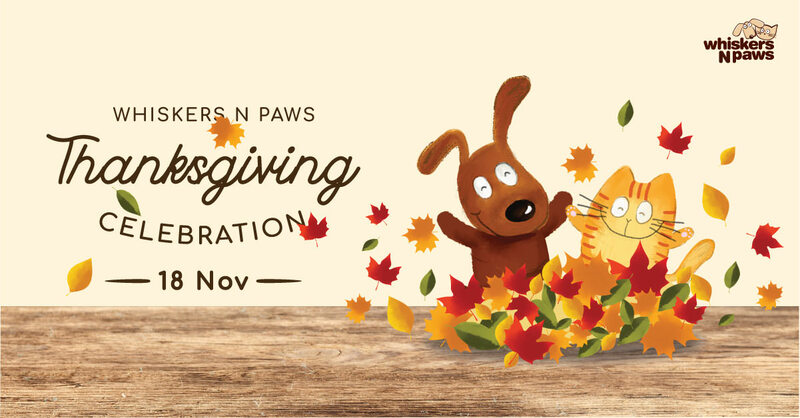 And FREE Thanksgiving dinner for furry friends with any in-store purchase!